Home Obits THOMAS WYLIE MERRILL JR.
A service to honor the life of Thomas Wylie Merrill Jr. will be at 11 a.m. Saturday, Aug. 18 at Blanchard-St. Denis Funeral Home with Bro. Billy Sutton officiating. Burial will follow at Cloutierville Baptist Church Cemetery in Cloutierville. The family will receive friends from 6-9 p.m. Friday, Aug. 17 at Blanchard-St. Denis Funeral Home. 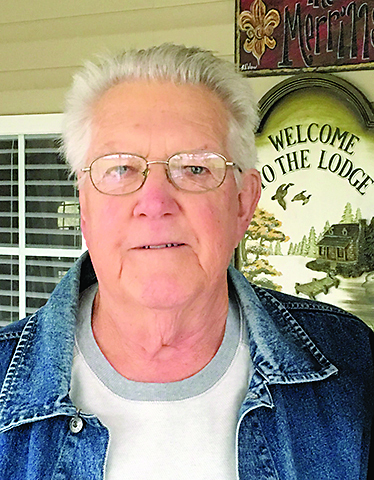 Tom, 75, and a resident of Cloutierville passed away Sunday, Aug. 12, 2018, at his residence with his family by his side. He was born June 4, 1943, to Thomas Wylie Merrill Sr. and Mary Francis Prickett Merrill in Houston. He was preceded in death by his parents and two sisters, Jacqueline Marie Merrill and Bobbie Jean Dabney. om Merrill was known as a loving husband, father, grandfather, great-grandfather, brother, uncle, friend, teacher and protector. He enjoyed working on cars, equipment or any special project. He also enjoyed hunting, fishing, camping and always had a special love for the coast. He was an honest, loving man who shared his experiences, wisdom, teachings and outdoor cooking talents with anyone; even perfect strangers. He will be dearly missed by everyone. He is survived by his wife, Glenda Marie Smith Merrill; children, Thomas Wylie Merrill III and wife Donna, Roger A. Merrill and wife Ann Marie, Brady V. Merrill and wife Melissa, Travis P. Merrill and wife Charlotte, Dennis Brossette and wife Glenda, Terry Brossette and wife Saundra and Blossom Mason and husband Danny; a sister, Julie Merrill Long and husband Jim; in-laws, Bob Dabney, Patsy Carter and husband Tommy, J.W. Smith Jr. and wife Faye, Roger Smith and wife Nancy, and Dottie Smith; as well as numerous grandchildren, great-grandchildren, nieces and nephews. Those honored to serve as pallbearers include his sons, Thomas Wylie Merrill III, Roger A. Merrill, Brady V. Merrill, Travis P. Merrill, Mike R. Dabney and Todd Treece Ressel. Honorary pallbearers will be J.W. Smith Jr., Roger Smith, Dennis Brossette, Terry Brossette, Danny Mason, Charles Dalme and Ambrose Airhart.